The consequence (or effect) of that future occurrence. Risk management is a continuous process that is accomplished throughout the life cycle of a system and should begin at the earliest stages of program planning. 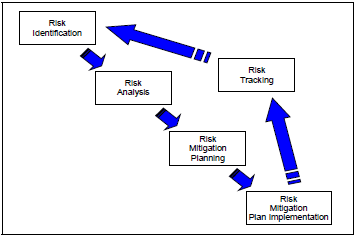 It is an organized methodology for continuously identifying and measuring the unknowns; developing mitigation options; selecting, planning, and implementing appropriate risk mitigations; and tracking the implementation to ensure successful risk reduction. Effective risk management depends on risk management planning; early identification and analyses of risks; early implementation of corrective actions; continuous monitoring and reassessment; and communication, documentation, and coordination. It’s most effective if it is fully integrated with the program’s Systems Engineering, Program Management and Test & Evaluation processes.